BELLEVILLE – City council will be looking to add 1,000 new housing units by 2025 to help people find a place to live in the community. This comes as a result of Belleville’s first Housing Summit, held Monday and Tuesday. The city will be seeking funding through the National Housing Strategy, a federal-government program that, among things, gives communities money to build more housing. The goal is to increase the housing supply and make living in Belleville more affordable, Mayor Mitch Panciuk said. In his opening remarks to the summit Monday, Panciuk said, “Housing is a very emotional subject. Panciuk said he hoped to see the information shared during the summit turned into concrete actions to resolve Belleville’s housing crisis. During the two-day event, agencies and community partners, along with builders, politicians and residents, were given a chance to present their point of view. Polan told QNet News Wednesday that the association has had experience with government intervention in the housing market which it would have liked to have talked about. She has spoken to Panciuk about the concern, and he told her it was not meant as an exclusion and that the event was open to the public, she said. During the summit, Belleville Coun. Kelly McCaw, who worked in real estate for around 25 years, said that the housing market in Belleville is the worst she’s ever seen. 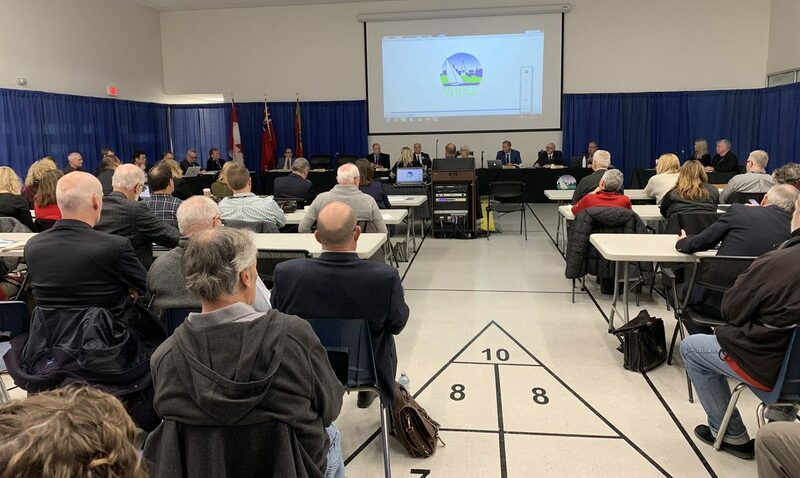 Representatives of the Quinte Landlords’ Association talked about the challenges landlords face when they’re held accountable for the actions of their tenants. The second day of the summit started with a presentation on possible solutions to the housing crisis. McCaw said she thinks council should start trying to find a solution to the problem of the large number of international students coming to Loyalist College who can’t find any housing to rent. Those at the summit agreed that the housing problem does not only affect people on social assistance or the poor, but also those who are making a good living. Critics have said that the plan by Ontario’s Conservative government to remove rent controls on new units will drive up rents and exacerbate housing problems. By removing rent controls and thus making new rental units more profitable for their owners, the supply of units will be increased, Smith said. Panciuk told QNet News he doesn’t think rent controls will have a big impact, but that increasing the supply of housing to help drive rents down is the way to go. There was agreement to work more seriously to solve the housing crisis in the area and work together on possible solutions presented at the summit. The city will be having a series of special budget meetings where councillors will be looking to approve several projects to help improve the housing supply. The meetings will start on Monday, April 1, and run the remainder of that week.